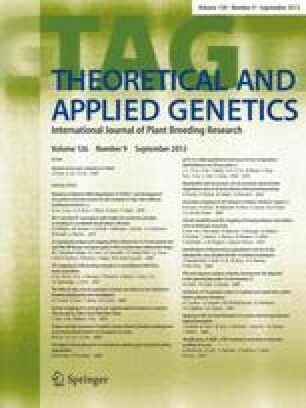 Phureja-haploid Tuberosum hybrids, which produce 2n gametes in addition to n gametes, were used to obtain diploid progenies in 2x – 2x matings, and tetraploid progeny in 4x − 2x matings. Seven of these diploid clones were intermated in a modified diallel design, and also crossed to seven cultivars, to obtain 21, 16-clone diploid; and 49 (35, 2x X 4x and 14, 4x X 2x) 24-clone tetraploid families, respectively. These progenies were included together with the 14 parental clones, in a tuber yield trial conducted in two locations in Wisconsin. Heterotic responses were striking in 4x X 2x progenies. Three of these entries had mean yields of 5.0, 5.0 and 5.2 lbs/hill, for 24 unselected clones, thus outyielding not only the mid-parent but also the best tetraploid cultivars in the experiment, which are highly selected; Wis 643 (4.8 lbs/hill), and Kennebec (4.8 lbs/hill). As a group, the 14, 4x X 2x families averaged 4.4 lbs/hill, while the mean of all seven cultivars was 4.0 lbs/hill, and the mid-parent was at 3.4 lbs/hill. This unusually high mean performance of 336 unselected clones represented in the 14, 4x X 2x progenies, is interpreted as a manifestation of the capacity of 2n pollen, formed by first meiotic division restitution (FDR), to pass onto the progeny the already heterotic diploid genotype in a largely intact array. Beneficial intra and inter-locus interactions are presumably compounded upon syngamy with an unrelated n egg from the tetraploid parent. -The performance of 2x X 4x progenies was at or below that of the midparent. The failure of these families to perform as well as 4x X 2x families may be a reflection of the incapacity of 2n megasporogenesis to avoid meiotic reassortment as efficiently as FDR does, which would result in inbred 2n gametes. However, the method of 2n megasporogenesis is not known. Hereditary variances were large, both within and among families, and indicated considerable nonadditivity in the action of genes affecting tuber yield at both levels of ploidy. Inbreeding was strongly depressing at both ploidy levels.